We learned one important lesson concerning our series on maximum bid viewing, and that is the need for Proxibid to offer a “no sale” option, allowing an auctioneer to withdraw an item because the winning bid is just too low. 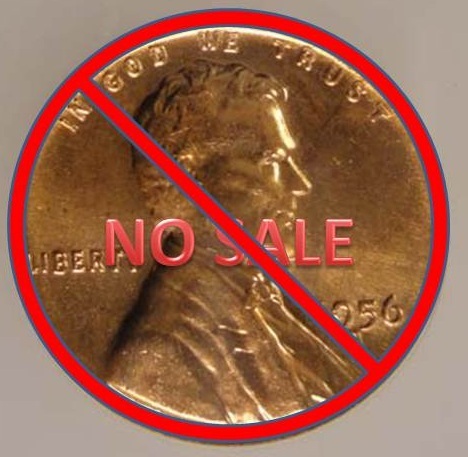 A “no sale” is a buyback, not a reserve, although the two seem synonymous. Setting reserves–as many coin auctions do, at retail levels–discourages bidding. A “no sale” option with a low starting bid permits auctioneer discretion. Bids can start low and the auctioneer can decide whether to sell at low levels or remove the item from the block. That’s happening all the time, by the way, with auctioneers claiming “onsite” sales when no sale actually has occurred. As Proxibid doesn’t charge for onsite sales, or has the time to monitor which truly are or are not, the portal should simply impose a $1 fee for each no-sale item. As we discussed in our series on maximum-bid viewing, this will be a wake-up call for some consignors who see their over-valued items “sell,” only to learn later that their lots didn’t. Moreover, this will be a good will gesture by Proxibid to foster honest dealing across the portal. This entry was posted in Featured Updates. Bookmark the permalink.